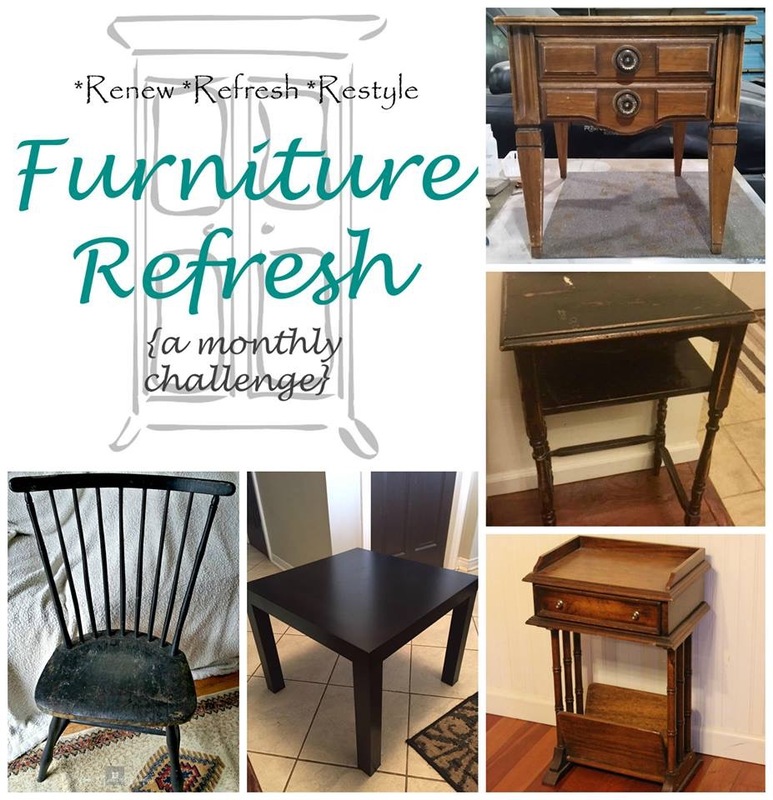 Welcome to the December Furniture Refresh Challenge! 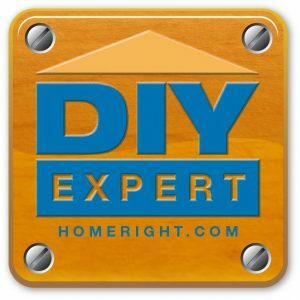 If you are not familiar with this, I get together once a month with the 5 lovely bloggers listed below to bring you a refinished furniture piece. If you have visited here before, you know how much I love to refinish furniture! I especially love to take an old piece and give it new life. 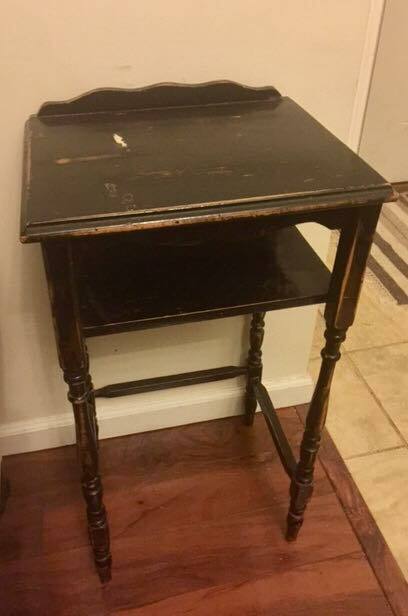 That is definitely what I did with this little side table found for $5 at Goodwill. I say it all the time, but what a different paint makes! 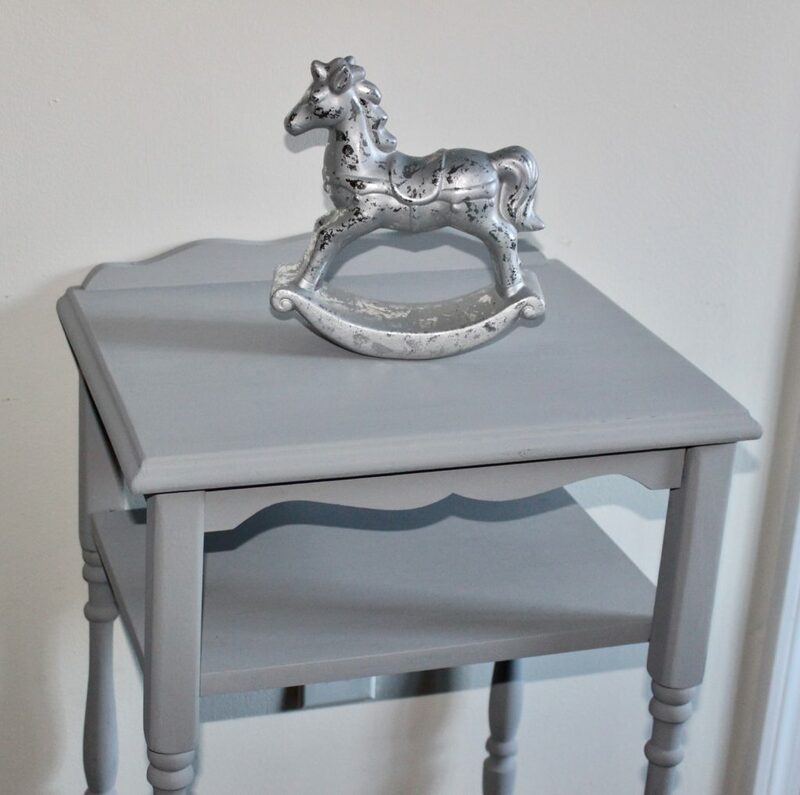 This side table went from drab to fab with just a couple of coats of paint and a little elbow grease! I still have to add a clear wax, but ran out of time. That will give it protection from any liquids, etc. Now be sure to hop on over to the talented ladies in this group and see their beautiful makeovers! The links are below. Such a beautiful finish. 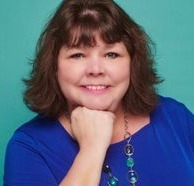 Great transformation and I love the color. It definitely needed your magic touch! 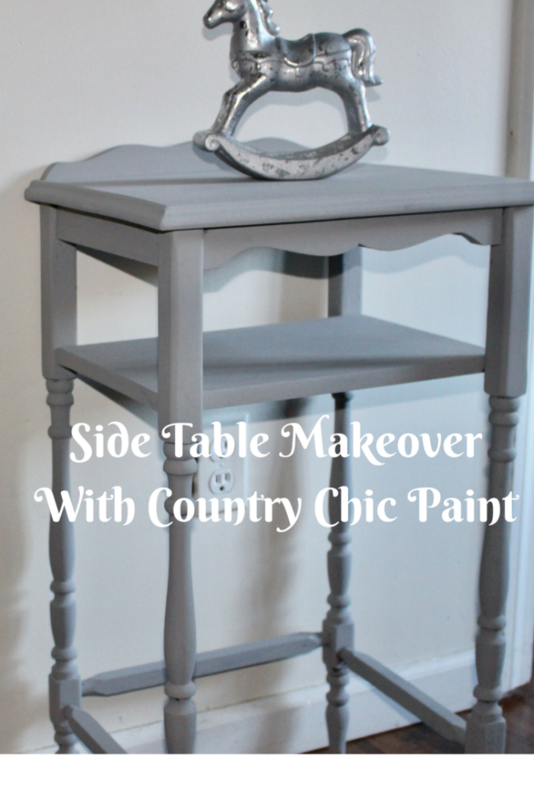 I love Country Chic paint and this little side table turned out so cute in that beautiful gray color. I love it! I’m loving that grey Michelle. It’s stunning and would work in any room. I love the versatility.